Thanks to a type of sparkling wine to which the region has given its name, the word “Champagne” is known – and revered – worldwide. 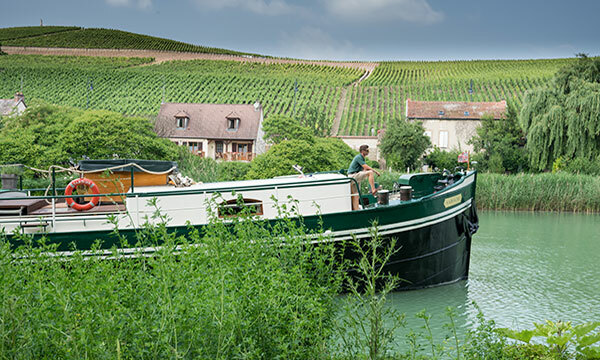 It is to this rarefied world of boutique vineyards, curated cellars, and local personalities guests aboard the Panache in Champagne are introduced. A spacious and contemporary two-story vessel, the Panache gleams with elegant décor and chic design. Roomy cabins offer generous storage space, and the modern bathrooms feature a double sink. Handsome leather couches in the lovely salon provide the perfect perch for enjoying a glass of wine with friends or cozying up with a good book and a cup of tea. Those who appreciate more active pursuits can stroll or cycle along the towpath, perhaps after a refreshing soak in the hot tub. Bottoms up for the excursions — champagne tastings at vineyards both established and emerging offers an insider’s look into the special world of this marvelous spirit. 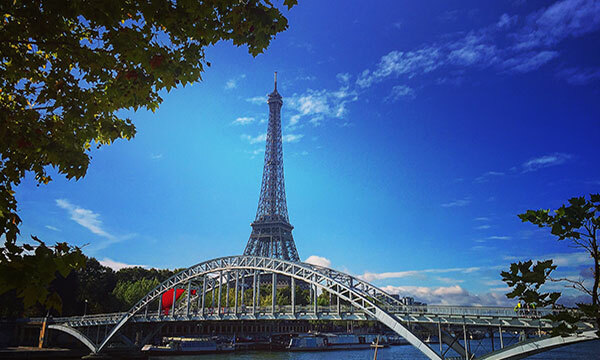 Guests are also introduced to the region’s cultural treasures and historical significance through visits to WWII battlefields, charming villages, and even an artisan cheese maker. Cuisine is prepared by the gourmet Chef, who sources local and seasonal ingredients to showcase regional specialties; wine pairings of course feature an abundance of local bubbly along with hand selected reds and whites. In the afternoon, you will be met by a crew member of the Panache at the designated meeting point. 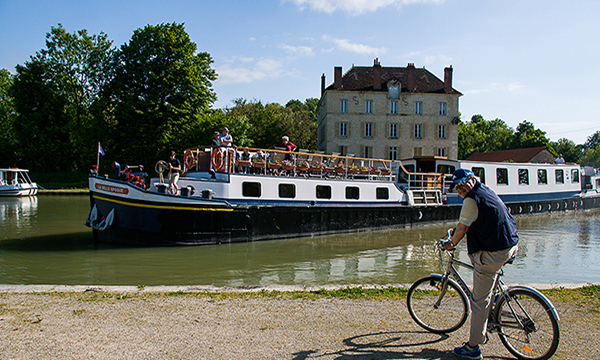 From here, relax as you are chauffeured to the barge, moored in the town of Chalons-en-Champagne. A traditional champagne welcome and introduction to the crew awaits you, before your first of many gourmet dinners aboard. Take a dip in the hot tub to end the day! 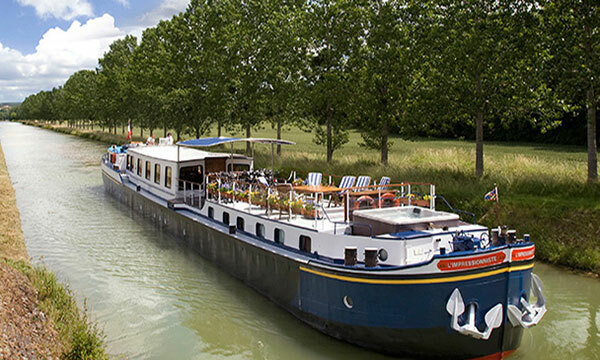 As Panache gently begins her first cruise, laze on deck and admire the passing scenery, or explore the towpath with a gentle pedal or leisurely stroll. This afternoon, your Tour Guide introduces Reims Cathedral, the magnificent church where the Kings of France were crowned. Marc Chagall designed the stained glass installed in 1974 in the axis of the apse. Afterwards, stroll the streets of the pedestrian area, or enjoy a coffee in the town square. Back onboard, canapes and cocktails precede yet another gourmet dinner. A morning cruise presents the perfect opportunity to relax on deck with a cup of coffee or tea. More active guests can explore the towpath's flora and fauna by bicycle or on foot. This afternoon, your Tour Guide escorts you to the quaint village of Hautvillers where Dom Perignon first invented the famous drink! Next, savor a tasting of local champagnes and cheeses at a gourmet boutique in the village. Return to the barge to freshen up for tonight's special dinner, as it is taken ashore at a local bistro. Bon appetit! This morning, uncork the best of the region's signature wine in the lively town of Epernay, the capital of the Champagne producing region of France. Sparkling wine practically runs through Epernay’s veins, and its dignified architecture reflects the wealth generated from the area's vineyards. 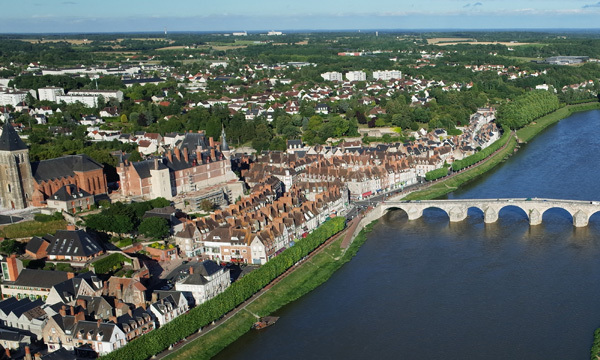 Savor a private tasting of world-class champagnes, and then enjoy strolling through this charming town while admiring the stately town hall, the Chateau Perrier museum, and the Théâtre Gabrielle-Dorziat. Drinks and dinner are served onboard. This morning's cruise drifts through a gorgeous landscape of vineyards, villages, and forests. Enjoy a cup of coffee on deck, or explore the towpath by bicycle or on foot. This afternoon's excursion is to the nearby Belleau Wood, the scene of the second battle of the Marne in spring 1918, which ended the last German offensive of WWI. Another option is a stop at the elegant Chateau de Conde to admire its sumptuous 18th century interiors. Your Tour Guide returns you to the Panache where cocktail hour precedes tonight's dinner. This morning, your Tour Guide accompanies you to Maison Pannier, a select champagne house with a labyrinth of medieval underground cellars. The wines here offer the flavors of Chardonnay terroirs, Pinot Noir, and of course Pinot Meunier, a grape variety which gives its champagnes a gourmand character and pleasant fruitiness. Enjoy a private tasting, and then return to Panache for an afternoon cruise. Relax on deck with a glass of wine and admire the bucolic scenery. Celebrate your week in Champagne at the Captain’s Dinner.